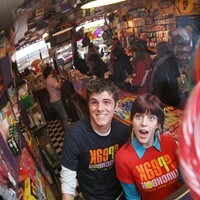 If you've never been, Freak Lunchbox is a little difficult to describe. 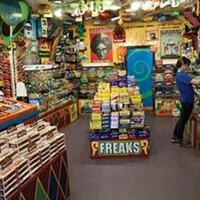 Try to imagine Willy Wonka's industrial space in Roald Dahl's Charlie and the Chocolate Factory condensed into a single store. If there was any chance of finding cavity-filling caramels, edible marshmallow pillows or exploding candy for your enemies, this is where you should look. 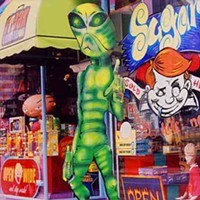 The sweets are of the American retro variety and are plentiful. There are also many modern gourmet flavours to be sampled. Freak Lunchbox's fiendish plan is to instill that need for sugary delights that keep us coming back again and again.